To get the most out of your day of skiing or snowboarding, you need the right equipment. Comfort and safety are often the main things to look for when buying gear. Here are a few tips to help you make the right choice. Helmets are now an integral piece of equipment. Over 80% of Quebec skiers wear them. Helmets are strongly recommended to help prevent injuries. Today’s helmets are warm and comfortable and keep you safe while you tear up the slopes. Plus, helmets have been mandatory in all snow parks in Quebec since 2007. But wearing a helmet doesn’t make you invincible! The best protection against accidents is knowing and respecting your limits—and the Mountain Code of Conduct. The golden rule is control! Choose a helmet that fits the shape of your head: the front of the helmet should sit about two fingers’ width above your eyebrows. If the front of the helmet slips up higher on the forehead, Your helmet will not provide adequate protection. If the front of the helmet comes down too low, it will restrict your field of vision. There should be little to no space between your helmet and goggles. Tip: Put on your ski goggles. If your helmet is on correctly, you will not be able to touch your forehead. Your goggles should not push your helmet further back on your head. 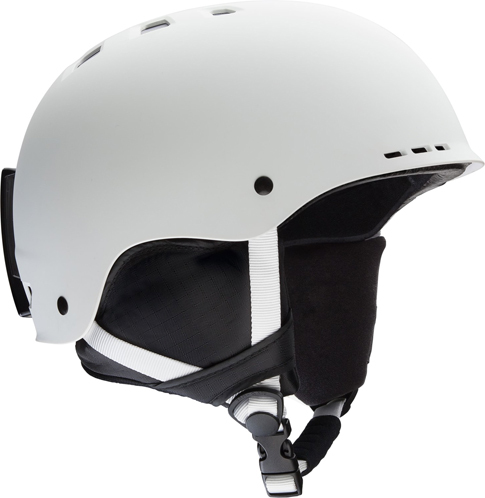 The straps are designed to keep your helmet in the correct position. Select a certified helmet that bears one of the following seals: CEN 1077, ASTM F‑2040, Snell S‑98, or the Canadian standard CSA Z263.1. * Bring your goggles with you when buying a helmet. The size of a child’s head changes very little as they grow. When buying a helmet, be sure to choose a model that fits properly. Also, helmets last for 5 years. 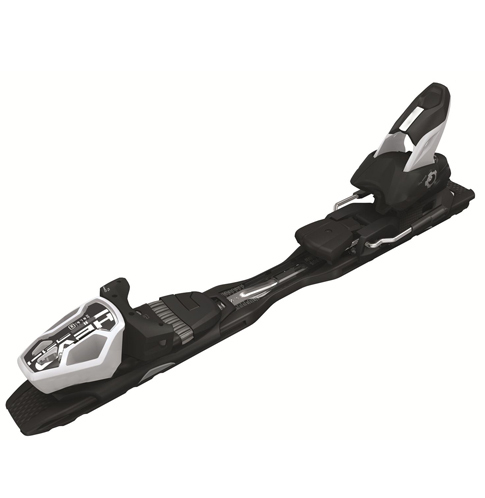 Ski bindings are an indispensable tool for safe skiing. They are designed to withstand the regular bumps and jolts of skiing and release in the event of a fall. Springs on the inside of the bindings are adjusted to withstand a certain amount of pressure (DIN setting). The ski will release if the pressure is exceeded. DIN must be adjusted by a qualified person at the beginning of each season. To ensure a proper boot/binding anchoring surface, you have to remove any snow under the boot soles or in the ski bindings. Worn heel supports can be unsafe. Improperly adjusted bindings may have serious consequences. 29% of injuries on the slopes are knee injuries. 50% of knee injuries are due to improper DIN adjustment.